Furnished exclusively in teak, each of the 14 luxury accommodations at the Yara Galle Fort represent traditional elegance and tasteful décor. Individually and passionately designed, the rooms and suites feature a touch of antiquity coupled with the latest modern luxuries. Read more…. Meticulous attention to detail can be found in the unique works of art, custom made rugs & feature lighting. With each room showcasing a vibrant, sophisticated feel- your stay at Yara Galle fort is set to transcend the limits of hospitality. Choose your stay based on conceivable prices- designed to offer you the most opulent, yet affordable rooms in Galle. Keep in touch with family & friends during your stay with our high speed complimentary Wi-Fi, freely accessible throughout the hotel. Nestled in the heart of Yara Galle Fort, lies it’s palatial Duplex Room. 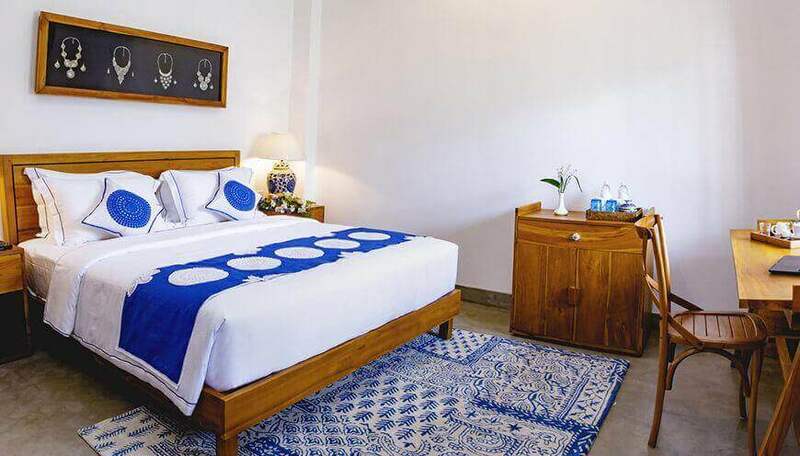 Generously comprising of two floors – this residential quarter hosts its bedroom on the upper floor complete with our signature king sized plush bed and state of the art teak furnishing to ensure a luxury brimmed stay, fit for royalty. While the lower floor boasts a private & spacious living room, It’s connecting bath features a vanity, tiled walk in shower and chrome fixtures. 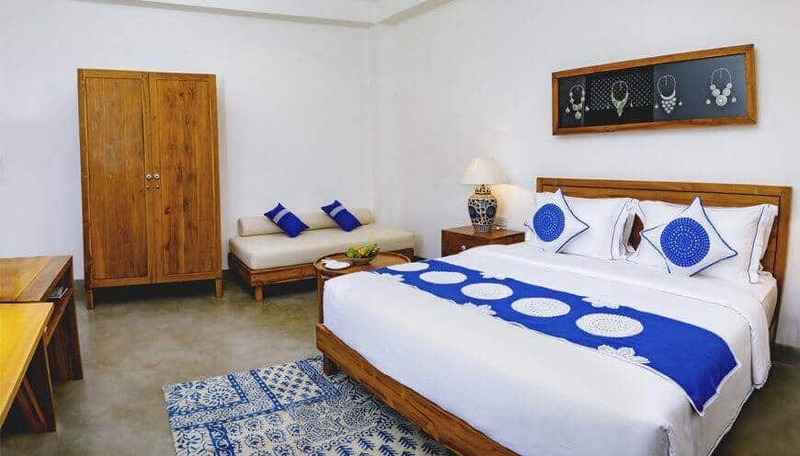 Enjoy a lavish accommodation in one of Galle Fort’s most anticipated boutique rooms. On arrival, treat yourself to a variety of complimentary treats such as nuts, fruits and Sri Lankan sweet meats as you allow yourself to indulge in the comforts that await you. 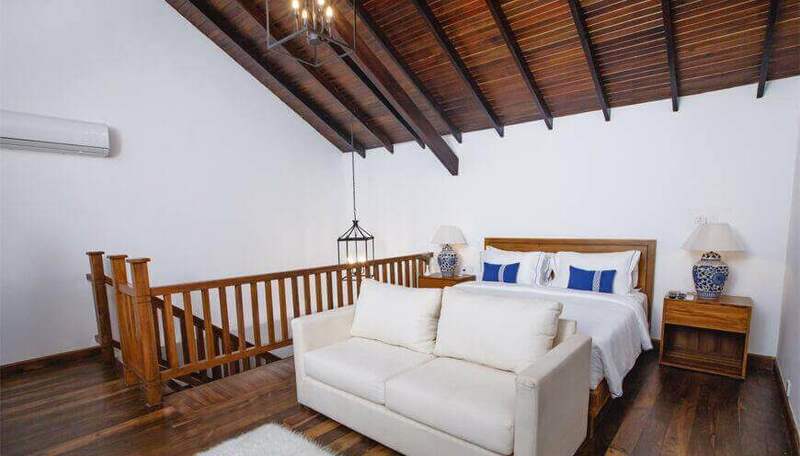 When it comes to accommodation in Galle, The Superior rooms at Yara Galle Fort offer you understated luxury from the moment you enter through its doors. Sprawled with gorgeous hues of aqua marine, our most well-appointed accommodations purposefully portray a calm and soothing feel. The interior at nova depict impeccable taste with its carefully sourced Belgian cushions and modernized traditional finishes of teak. Some rooms boast a fully furnished private balcony complete with lounge recliners and a breath taking view of the Galle Fort. Indulge blissfully in one of our boutique’s four luxurious deluxe rooms for the ultimate experience in privacy and comfort. Yara’s deluxe suites comes with regal black & white bathrooms inclusive of its feature walk in showers & spacious vanities. Also featured are their sumptuous pillow topped king size beds. Enjoy your morning coffee in your spacious suite over looking the hotel’s courtyard & prepare to be charmed in one of down south’s finest accommodations!